Get the sport and health data you want with your choice of compatible products. "My ANT+ products have made it extremely easy to record and download my training data. I find it so rewarding to know I have been improving, and in what areas." "ANT+ makes running fun! Through the speed, distance andheart rate data from my ANT+ device, I have a tangible trainingrecord which helps me to achieve my personal bests." Monitor your activity. Anywhere. Anytime. ANT+ provides the technology. Top brands provide world-leading products. 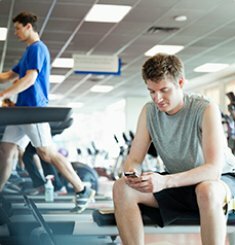 Connect to millions of ANT+ fitness, sport and health sensors. Choose ANT+ enabled mobile devices and applications for Android and iOS platforms. 'What your heart rate monitor is trying to tell you.' Get the real story from the leading authority, Sally Edwards, Heart Zones. Top Brands. Compatible Products. Find your winning combination.